Those keynote events, which recently awakened your planet to faith and to action, have torn away the last veils of denial from the Collective Consciousness. A stone has been thrown into the water, and ripples of pure energy now spread around the globe---ushering in what will eventually become known as The Age of Conscious Choice. Doorways are opening, and magic is afoot! And we are here to explain, in detail, how they work and what they mean. This is no longer a game to be played by just the spiritual elite. What was once a privilege of the chosen few now becomes the heritage of all. All around you, in every place, there exist Energy Gates---portals in time and space---through which a person can pass to new life and experiences. Some are visible, and some are of the mind and heart. All of them are real. Some portals exist as specific places. Simply to visit these locations is to be transformed. Other portals require energetic "passwords" or "vibratory signatures" to activate them. Still others---those connected to the highest levels of transformation ---require passwords, along with "sponsorship" by an Etheric Guide, so that the unconscious or unprepared can not enter them unaware. There are many kinds of Trans-Portals. Most are opened through the verbalization of some goal or desire for personal development. In such cases, the INTENT of the traveler becomes a blade that cuts an opening in the Veil which divides the universes. Once a portal is opened, your journey begins. A vortex draws the individual in, and certain "changes" are effected, so that transport to an adjacent universe can occur. Transformation begins with two elements: disorder and disintegration. When a physical body passes through a portal, it begins to be broken down into basic elements that can be transported easily within the Multiverse. Once a decision is made, this process is usually so rapid that it is barely noticeable. The human mind has a tremendous filtration ability, and has a habit of editing out all knowledge concerning what we are describing here. The mind's power to knit together universes, into a logical sequence, gives a person the impression that reality is one continuous landscape, rather than the infinite collation of alternative possibilities which it can be. The arrival of disorder ("chaos energy") into any organized structure produces CONFUSION. If you examine this word, you will see that it is composed of "con," which means "against" and "fusion," that which binds physical material together. To become con-fused means to LIFT OFF from your current orientation, in the same way a rocket ship launches, and moves towards something new. Confusion scrambles the mind. It mixes and mingles old orientations, to clear the way for new ones. Its physical counterpart is CONSUMPTION. When a Trans-Portal is entered, the energy acceleration actually consumes the physical body. Once the traveler arrives at his new destination, the original INTENT manifests, and downsteps itself into an appropriate physical vehicle. We will speak more of consumption later. There are important lessons to be learned there. Once a person has arrived at a destination point, his mind is free to concoct any number of rationalizations to explain why and how he is there, rather than where he was. Sometimes, it will appear as though he awakens from sleep, only to assume that he must have been dreaming. At other times, he will tell himself that he has experienced "time loss" during a car trip, or while working in the back yard. And in some cases, the shift is so drastic, and the internal weaving of universes so pristine, that the individual never realizes he has moved at all. You would be quite surprised to know how many fantastic journeys you have taken---only to file them, forget about them, and resume working at some mundane task.......as though nothing had happened to you. Rest assured, your "travel photos" are all kept safe and available, waiting for the time when you will review and enjoy them again.......a time that is rapidly approaching, by the way! What is an Energy Gate? Basically, it is the intersection of desire and opportunity---wherein the signature vibration of a person synchronizes itself with physical conditions to produce a change or an effect. Another expression that has often been used to describe it is "a window of opportunity." Energy Gates, themselves, can be physical in form, or they can exist merely as states of mind. Once inside, all the rules that existed "over there" seem not to apply to what's happening "here." Passing through Energy Gates, mothers and fathers have transformed themselves, so as to be able to perform super-human powers in order to save their children from harm. Then, having passed back through, these folks were amazed at what "had come over them," and what they had been able to accomplish. Lovers have faced impossible odds, and overcome great obstacles in order to be together. The activation key is their desire, and their power is nurtured by that for which they would rather die than live without. This is also the sourcing of power for heroes and tyrants alike. Energy knows no moral champion, save the person who is willing to give up anything and everything in order to achieve a goal---to move from where he is to become part of something new. Of course........as an aside......today's "solution" may end up being tomorrow's "problem," but that can be dealt with when the time comes. Some of your most famous and powerful spots on the planet are Energy Gates. For example, your Stonehenge, with its many stone formations that are stacked to symbolize doors and archways. They are inspirational, and they teach that the possibilities which surround you are infinite indeed. Yesterday's warriors and explorers have left you a rich legacy which you can study and celebrate. However, you must also remember that today is your day. Once you have created your own transformations and miracles, you, too, can put up memorials and stones---leaving a bit of your legacy for those who will come after. Transport between dimensions can be horizontal (through time), vertical (density to density), or diagonal (variations of both). Whenever a traveler begins a journey, it will always manifest full circle, to return to its point of origin. Stops along the way may be recorded to memory, within an individual life, as though they represented an end. But really, there is no end. Everything moves in a circle. Any appearance of an "end" is illusion, and a powerful illusion it can be! Lessons are learned, and the wheel of life continues to turn. There are many ancient structures which have served, in days past, as human "Ascension Chambers." One such structure is older than Stonehenge, and exists now in Ireland. It is called Newgrange. Inside, the passageway is rounded at the top. Underneath the main floor is a giant crystal, which energizes and facilitates all who enter to make whatever Multiversal Leaps their hearts desire. Another Elevator Gateway is well-known as The Great Pyramid in Egypt. Down through history, this particular Trans-Portal has been a favorite access point for Atlanteans (among others) who have done experimentation with time travel and who still use it for comings and goings today. These famous structures are mere examples of the manifold Elevators that exist all around you. They are famous, filled with tourists, and are protected because of their notoriety. Others are less known, and are points of interest to those among you who are serious about your journeys, and wish not to be disturbed in your process. Gates can be opened, and Gates can be sealed again. It is all a matter of mutual contract between a traveler and the reality context within which he moves. In high-rise office buildings, you get to ride the elevators for free. They are made of steel and granite, and their destinations consist of floors, stacked systematically, one upon the other. In the Multiverse, the ascension process happens a bit differently. Instead of changing ALTITUDE, a rider in the Multiverse changes ATTITUDE. As we have detailed in other transmissions, each universe exists somewhat like a filmstrip which passes through a projector at variable speeds (densities). When you change the speed of a filmstrip, the pictures contained thereon will seem to change as well. When a person incarnates, his mind is his projector...........and his entire perceptual universe becomes his screen. As his vibration rises and falls, the images on the screen become light or dark, sinister or playful, all in accordance to the pitch at which his perception is tuned. Now, Friends........we wish to point out that, at the highest level of knowledge and expression, all interpretations are neutral. In other words, there is room for everything, and everyone has a place at the dinner table. To label something as "good" or "evil" is to place it within a polarity, which stops its expansion. When a person becomes invested in a list of definitions (i..e. when he creates a belief system)........he, too, solidifies........and commits himself to the life process that is playing itself out at that frequency of vibration. There is nothing wrong with this, people do it everyday. Assuming an attitude of unconditional acceptance, or neutrality becomes an AUTOMATIC ELEVATOR within the Multiverse, enabling any of you to move freely between the various realities that exist within All That Is. To decrease vibration, it is necessary to form a judgment concerning the universe you are inhabiting. The degree of deceleration is correspondent to the intensity and essential inflexibility in the attitude of the observer. The more absolute the judgment, the heavier the reality becomes. If a person believes that something is very, very bad he will live within a context of fear concerning its presence in his reality. If he believes that something is very, very good---he will still live in fear, as he will dread losing it. Different Polarities---same vibration. Neutrality is the doorway out of any universe. When a person lets go of judgments (self and others), the elevator moves up. When he takes new ones up again, the elevator goes down. If he remains constant, he has the option of getting off and doing business at any "floor" that matches his energy. These are the laws that govern movement within the Multiverse. You have been using them skillfully and constantly from the beginning of your journey here. However, now you have the option of using them consciously to intensify the power of your experience. If freedom within the Multiverse depends upon Neutrality, you may find it helpful to know some essential facts about how this crucial component is lost and how to find it again. 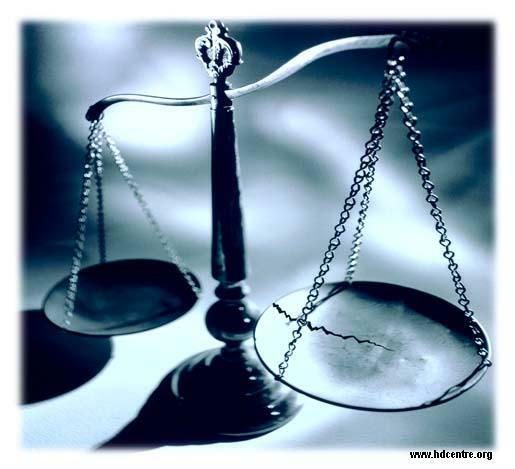 Whether he realizes it or not, in order to attain and hold himself within an attitude of judgment, each traveler (or projector) carries within him a "scale of evaluation," somewhat like the one being held by the Archetype, Lady Justice. One side of the scale is loaded down with what he believes to be "facts" about the universe in which he exists. On the other scale, "evidence" is accrued to contradict the basic premises which he holds sacred. This basic conflict produces a vibrational momentum which feeds the development of each particular universe. As the scales shift, the emotions in that universe will shift with them. Drama, intrigue, and outright comedy will frequently be the result. An attractive package to invite a person to stay there, wouldn't you say? We have emphasized, through our transmissions, that all truth is relative to the context within which it is viewed. Since there are universes, within the Multiverse, that honor each and every belief---the issue of what is "true" or not is dependant entirely on where a person wishes to go, and what experiences he requires to complete his soul's evolution. Therefore, to achieve a state of Neutrality--all a traveler must do is to return to his Scales of Evaluation and rearrange his "facts." Each universe contains its own intrinsic "evidence" to support the basic premises around which it functions. By introducing "new evidence" to old belief systems, the flow of emotion can turn, bringing the entire vibrational density back to "zero point." Once the attachments are cleared, the traveler is freed to go anywhere (or anywhen) he desires to go. We spoke earlier about consumption, as a necessary process for trans-porting oneself throughout the Multiverse. Do you know that "consumption" is also a word that has been applied to many disease processes, which have existed down through history? We began this transmission by outlining how Trans-Portals are formed. We said that it is focused INTENT that cuts an opening in the Veil, and it is DESIRE which draws a person through that portal to be transformed. However, if the transition process becomes interrupted----if a traveler doesn't hurry through and complete his process, some negative consequences can result. Those conditions which are called "disease," within your society, are produced within your gateways to transformation. The changes have not been completed, that is why there is pain. It matters not what type of disease we are discussing. They are all simply doorways, into which individuals have ventured. For whatever reason, these folks get stuck---halfway in and halfway out---and they become disoriented and hesitate to finish their transition. The specific symptoms of the disease are determined by which parts of the body have been inserted into the portal, and which are held back. The deterioration or weakening which makes up a disease state comes from the decomposition process which occurs in order to teleport a traveler from "here to there," where he is reformed again. The change is meant to be instantaneous and complete---which it is, if a person fully steps through the portal. But if he hesitates, if the blade on his "scalpel" of decision is dull or halting, he or she can become stuck in the Gate. It is only when he realizes what he is doing, and what he really wants, that the process can be restored, and his journey completed. At the most basic level, the only "healing" that is ever needed is awareness. We cannot emphasize this enough. The basic adage of "know thyself" is foundational to all growth and attainment. Once a person has achieved that, the next most important lesson is "pay attention to what is happening to you." The final task is to make a decision. Sometimes, refusing to decide is a decision. Do you understand what we are saying? Be conscious rather than unconscious. This is a New Millennium! Make some mistakes now, won't you? It will be allright. Life is a risk. Be willing to play with it a bit. At the appropriate time, we will come and work with you to formulate your own program of dealing with these issues. You simply need to ask, open, and wait. Do not become attached to a form concerning how all of this will look. Each life itinerary is different. Each manifestation of Reconnection is unique to the individual and to his or her situation. So let it be! You, as a planet, are only beginning to grasp the enormity of your life's potential. In your own way and in your own timing, you will finally discover that you are truly limitless. When you do, there will be the wondrous joy of RIDING THAT INFINITY, like a surfboard, as well as forming it and shaping it in your hands. But for now, let those hands open to receive again what was yours---knowledge, ability, and the wisdom to integrate and use it to your advantage. We salute you, and thank you for your kind attention. We are always here. Copyright, 2001, by Daniel Jacob. All Rights Reserved. May be copied and shared, for purposes of personal growth and/or research, so long as the above URL and this copyright are included. All reproduction for profit, by any means, requires the written permission of Reconnections, Inc.